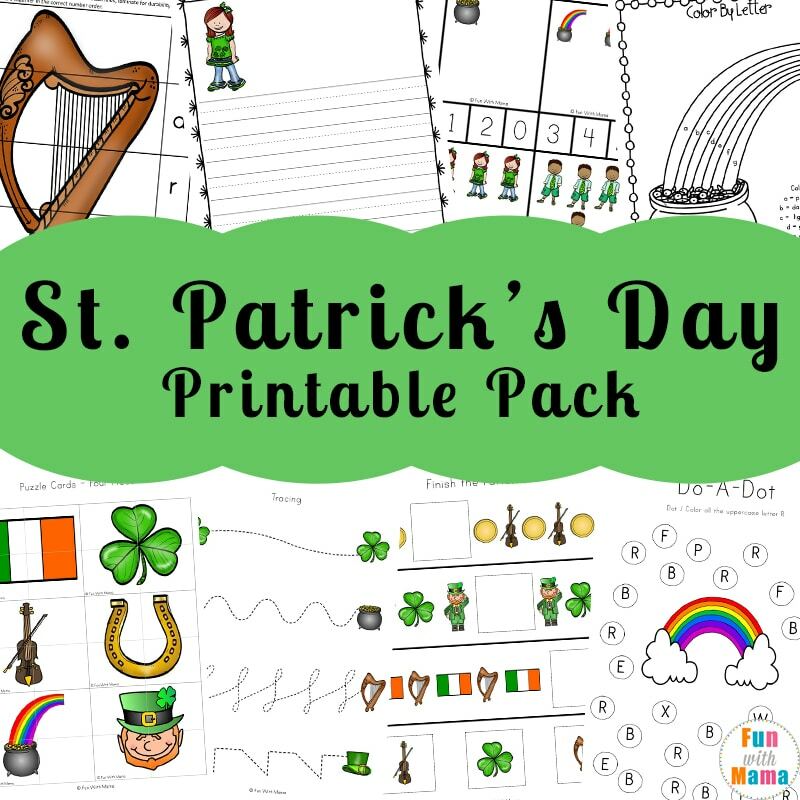 Need a science experiment for kids that is perfect for your St Patrick’s day activities week? 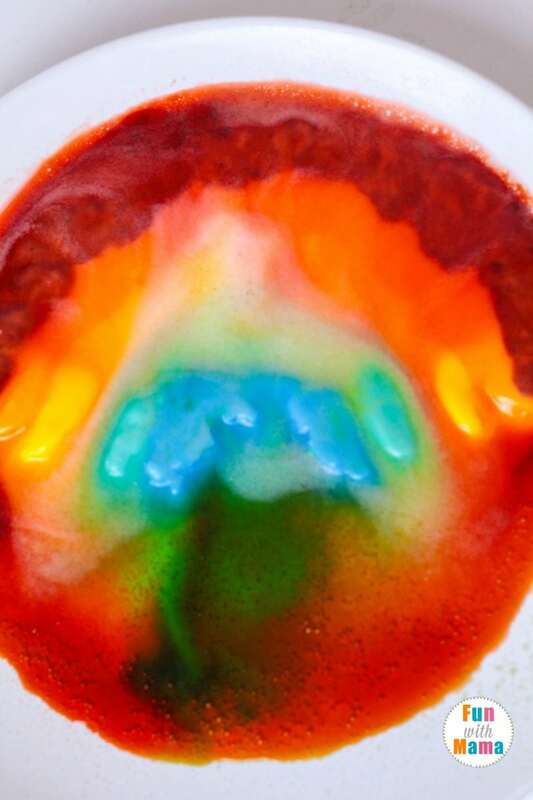 Then check out this vibrant rainbow colors fizzing science experiment! 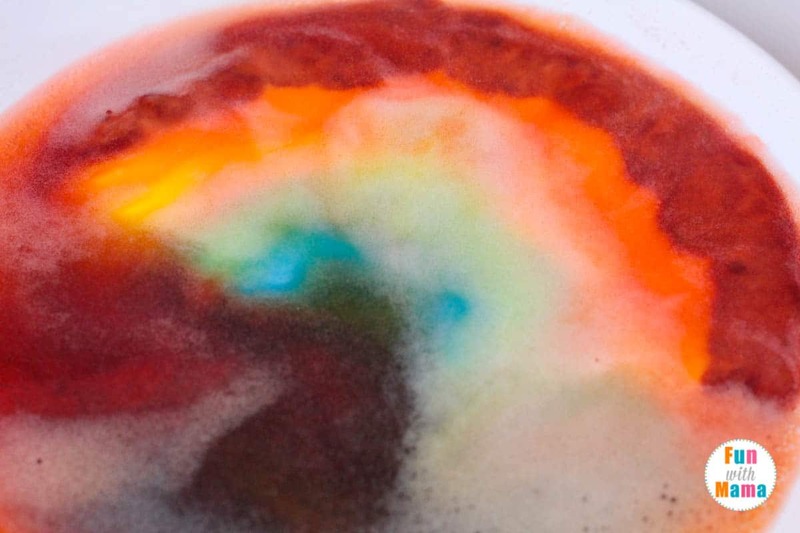 If you need a cool science activity to do for St. Patrick’s Day, try making your own fizzing rainbow colors! 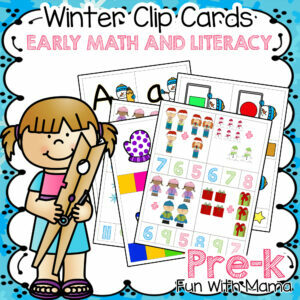 This preschool science activity is a fun twist on hidden treasure and chemical reaction science. 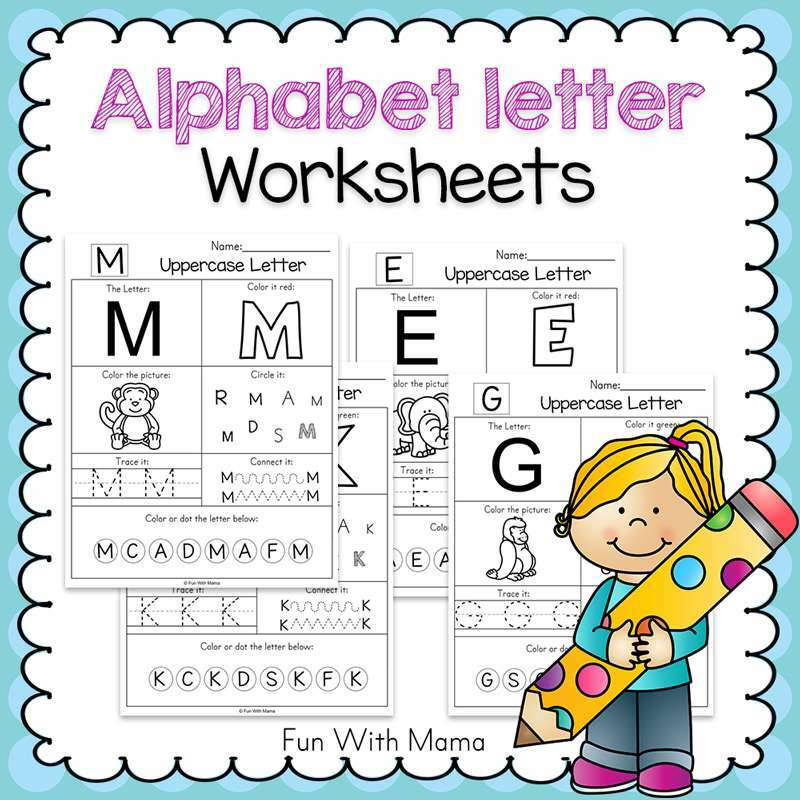 In this activity, kids will use a chemical reaction to make the rainbow colors fizz. 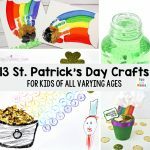 This activity would be fun to play at a St. Patrick’s Day party or as a St. Patrick’s Day science experiment for kids in the classroom. 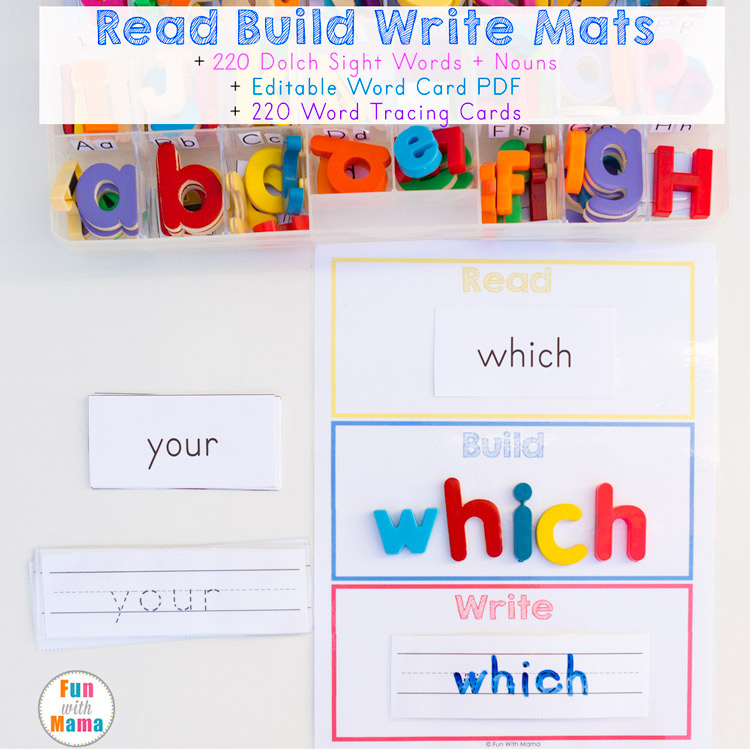 This activity is one of our favorite spring science activities for toddlers and preschoolers that you can do at home because it is easy! 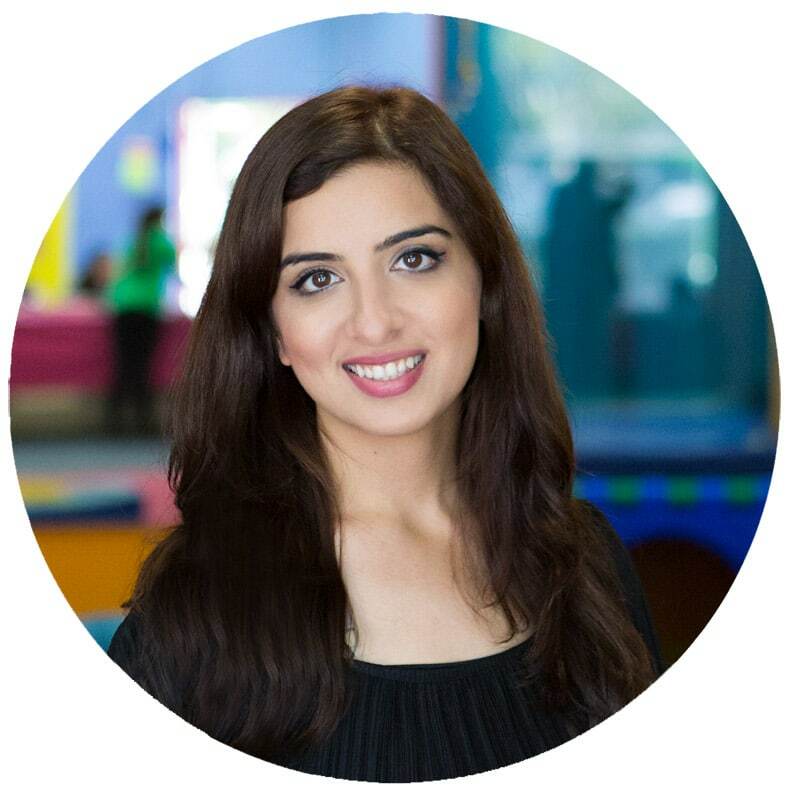 Science experiments are a favorite in our house, hence why Fun With Mama has a YouTube channel filled with science experiment ideas for kids. 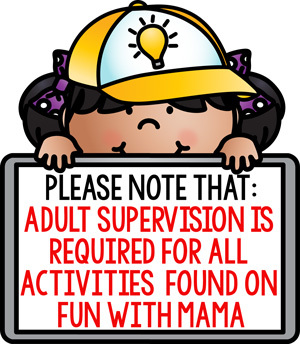 Check out the Fun With Mama’s Kids YouTube Channel here. 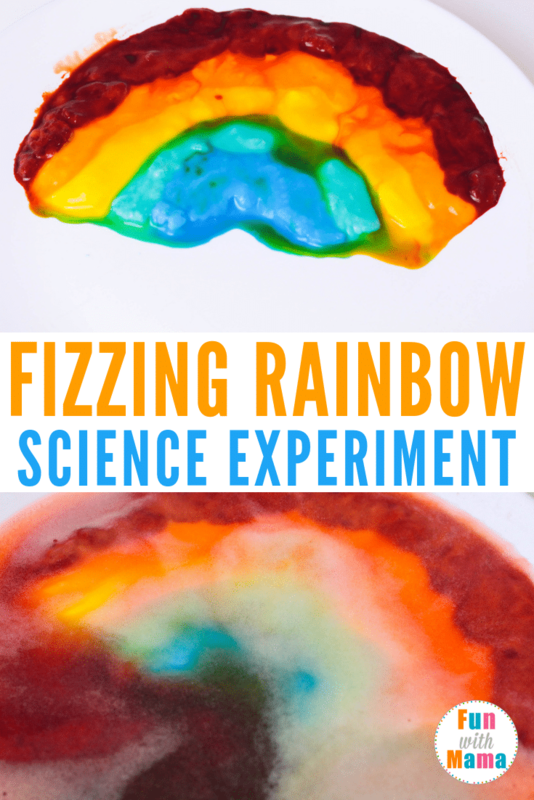 Here is how you make your own fizzing rainbow science experiment. It’s very similar to the Baking Soda Volcano Experiment. Make a paste from baking soda and water. 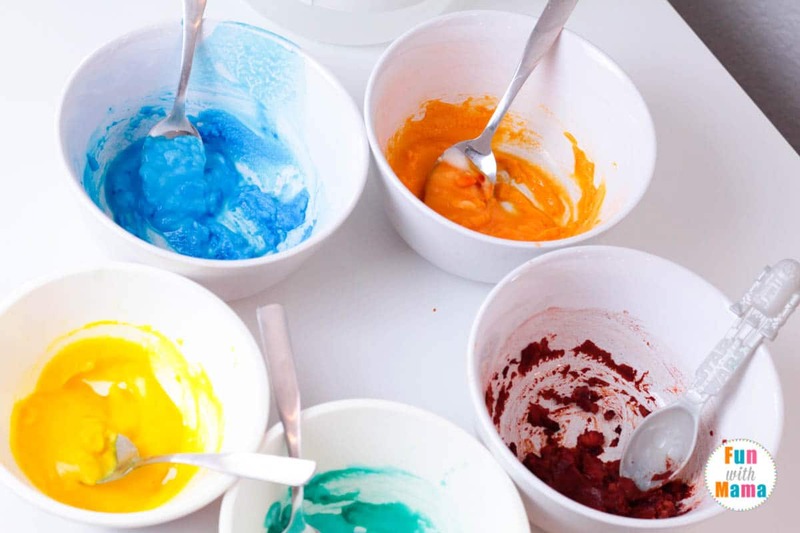 Divide the paste into five bowls and dye each cup a color of the rainbow with food coloring. Once the rainbow is complete, use the pipettes to pick up a small amount of vinegar. Squirt the vinegar onto the rainbow and watch it fizz! Repeat the process until the rainbow no longer fizzes or the tray is filled with colored liquid. 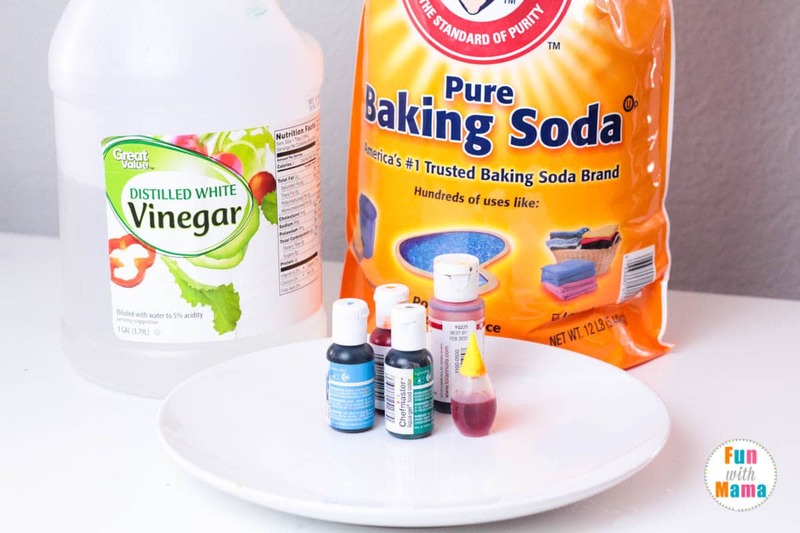 Discuss the science of baking soda and vinegar reactions as the kids complete the activity. Why does the rainbow fizz? What makes it stop fizzing? I hope you enjoyed the baking soda fizzing rainbow colors science experiment for kids. 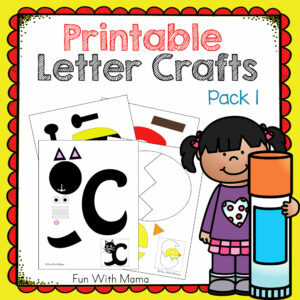 The Rainbow Fish Activities – This is a fun book themed activity. 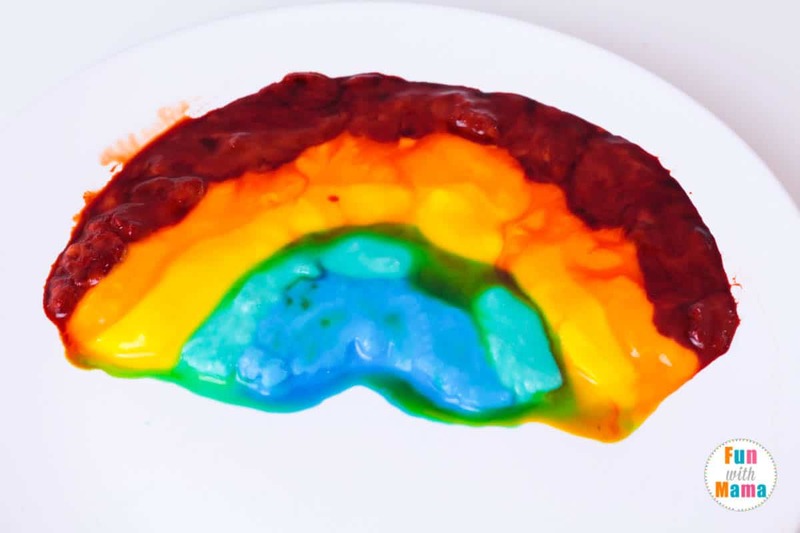 Super Easy Rainbow Slime Recipe – Because which kid doesn’t love creating slime? Rainbow Rice + How to make coloured rice – we use this often in our sensory bins. Rainbow Raised Salt Painting – We love this art activity. 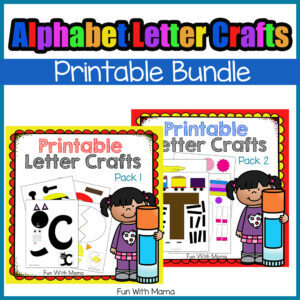 Rainbow Q Tip Art Printable – This one’s great for working on a child’s fine motor skills. 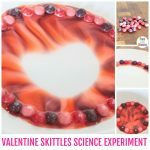 Easy Rainbow Skittles Science Experiment – this ones the best. 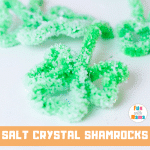 Salt Crystals St. Patrick’s Day Science Experiment – here is another fun St Patrick’s Day science activity. 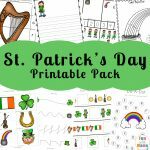 Get the St Patrick’s Activities pack.